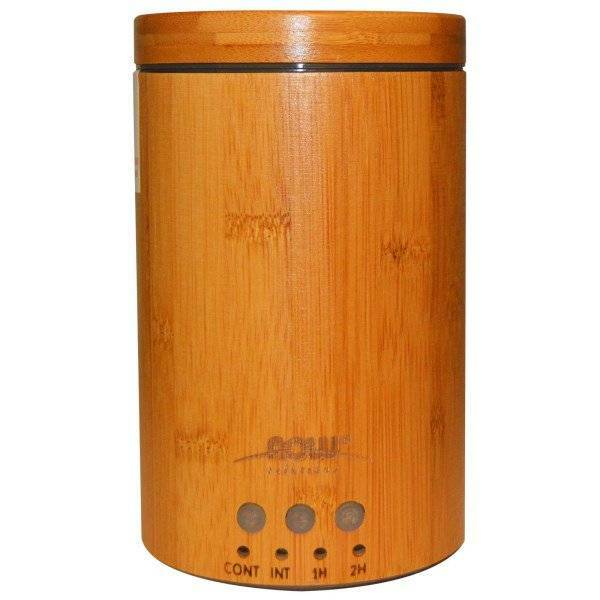 NOWå¨ Solutions Real Bamboo Ultrasonic Oil Diffuser unites aromatherapy with modern scientific innovation to create an essential oil diffuser that's the perfect complement to your home or office. This attractive diffuser is BPA-free and utilizes high-frequency ultrasonic electrical vibrations to create an ultra-fine mist. This diffusion method doesn't utilize heat, which maintains essential oil integrity and holistic properties. Features:åÊTimer setting 1 Hr / 2 Hr, int/cont.